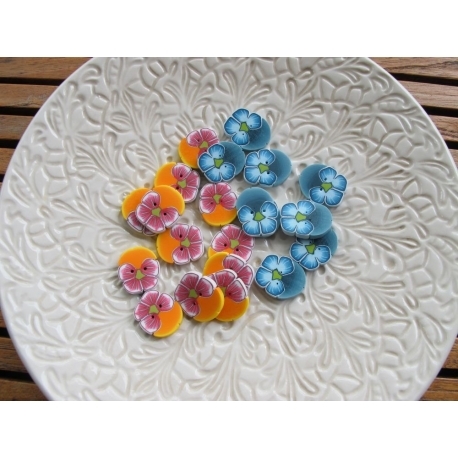 Polymer clay buttons, designed and made by Pascale of Butterfly Couture. These buttons have been specifically made for my shop - they are cut a little thicker so that they don't get lost among the stitches. 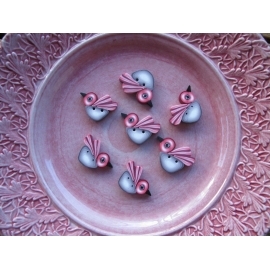 Size: approx 20 x 17 mm.